Hank Wallace will show you how to be "concise as news, precise as law." Hank is in the New Jersey bar and Who's Who in America, and he's a graduate of Columbia Law School. Hank was a government reporter for New Jersey's Middletown Courier and Red Bank Daily Register, and the assistant director of law-school publishing for Matthew Bender. In Washington, Hank wrote the FCC's plain-language newsletter -- including the commission's plain-language description of how cell phones work -- and he was the first "Ask the Expert" guest on the then-NBC radio station. His articles on newswriting have appeared in the magazine of the Radio Television Digital News Association. Hank's volunteer experience includes being the law reporter on New York cable TV in its early years and showing Washington high-school students how to write their college-entrance essays "like the news." 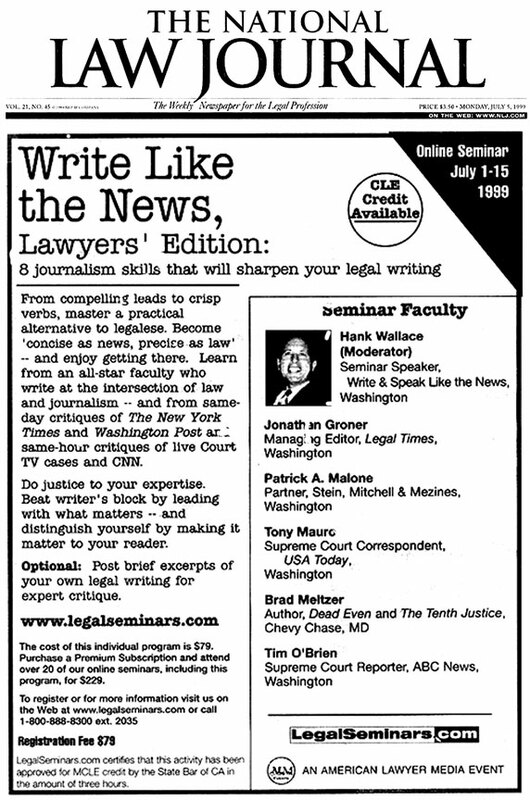 Here's the ad for an early webinar that fueled the "precise as law" part of Hank's "concise as news, precise as law" approach to business writing and speaking. 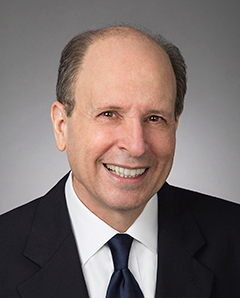 The faculty for another of Hank's webinars featured Julius Genachowski before he chaired the FCC and veteran New York Times Supreme Court reporters Linda Greenhouse and Fred Graham. Write & Speak Like the News seminars and consulting are available in person and online.